I see many bloggers with 20-40 blog comments on a post, and yet they have not responded to any of them. If someone has taken the time to leave you praise or critique, answer them! I get that it may take a while, but as long as it takes, do it. After all, the blogging community is all about interaction. At a point, it becomes unmanageable, but till then, manage what you can. Personally, I wish that I could reply to the blog comments I get without it adding it to the total comment count. For instance, if I get 10 comments initially, once I reply to them it becomes 20 comments. That 'false comment number' is not reason enough not to respond. Anyone else share my sentiments? I'm so lucky to have made incredible friends in this blogging adventure. I've interacted with some of the loveliest people whom (more than likely) would have remained perfect strangers to me. Because of blogging; People spanning miles and oceans are now my friends. A retweet here or a re-pin there goes a long way to boost another blogger creating content that they're proud of. I even wrote a post supporting my favourite bloggers which you can find here). Motivate that enthusiasm. I know what it feels like to be a goldfish in a large tank full of piranhas- that's why we need to look out for one another.
" I know what it feels like to be a goldfish in a large tank full of piranhas"
Admittedly, this is one that I'm still battling with. Comparison of content, theme, colour and statistics is so ripe in the blogging world- which I think creates the lack of support I mentioned in #2. It's unfortunate but true. Comparison is tough because it's so easy to do. One simple thought and it can send you tumbling down the rabbit hole of doubt and despair. Honestly, I don't have a solution to this one- except for maybe giving yourself time; Time to learn to write better, time to develop a distinct style and time to better your blogging knowledge etc. What do you think a solution for this one is? There are thousands of similar post ideas out there- dare I say millions. One cannot expect every post topic to be 100% original each time. That would be unfair. But, to take another person's post ideas and regurgitate exactly what they wrote, post after post, isn't blogging; It's copying...and no, it's not getting inspiration, either! Inspiration can definitely strike when going through someone else's blog, but make it your own. Your readers want to hear your voice. I had an unfortunate experience where someone took 'inspiration' a bit too far. You can read more about that here. If you come across a tag or a post idea that you think is very unique and you would like to do it on your own blog, by all means! I think that's really great! Just remember to give a 'lil 'shoutout' to the blogger who first did the post. Chances are the blogger will really appreciate that! "It can sometimes be difficult to open yourself up to vulnerabilities, but I think it's worth it." #5 Not being 10000000% YOU! You are such an incredibly human being, unlike any other. Every aspect of you is different from the next person and the person next to them (barring identical twins). Embrace that! It's so easy to blend in and go with the flow or to change and alter to suit the 'norm' at the moment. It can sometimes be difficult to open yourself up to vulnerabilities, but I think it's worth it. You have so much to offer, being you. You should share that with the world. What would you add to this list? What would you like to see less of in the Blogosphere? These are some really great points you've mentioned - its mportant to find your voice and talk about what you want to talk about doesn't always have to be the latest makeup that just released. Share honest opionions on things you like. Yes! It's sometimes tough to deviate from what others are doing, but ultimately, talking about content that you honestly care about will be more enjoyable to readers. Thanks for the comment, Candice! I definitely need to up my comment game, I tend to like to wait till I publish a new post then reply to all of the comments on my last post in one go... it's a weird system but It's how I like it but perhaps not everyone will like that. I do the same, Rosy! I reply to previous post comments once I've posted the next post. It's not a weird system at all. I love replying to comments. If you find more time maybe try slot in 5 comments to reply to. I'm sure your readers will appreciate that. Thanks for the comment, Rosy! I think most of these are unintentional. Sometimes one just has to take a step back and change ones perspective. Right?! It's so incredibly easy to be swayed. Now and again, a break from checking out other bloggers is great for gaining unique content and fresh ideas. As always, thank you Natalie! I agree with everything on this post. Like a year ago I was thinking about doing a post like this but didn't (probably because of laziness) but this is probably what I would have put. Well, you know what they say... great minds think a like. Haha, laziness gets us all at times! Thank you, Fi! I always appreciate commentary on my writing- both good and bad. I like to think that everyone's blogs are as unique as they are- or should be. That's a lovely thought. Focusing on ones own content and creative process is probably the best tip. These are really good points. It reflects on how a blogger should behave. :) Cheers. Kind of like a 'Blogger Manifesto'! Glad you enjoyed the read. Thanks Elle! Couldn't agree more with all of these! The blogging community is amazing and should be the top priority within other bloggers, so replying to comments, shoutouts to great posts/bloggers, and supporting fellow bloggers are really important I think! I couldn't agree more, Josie! This community can be so supportive, but that support has got to be spread around too! I always appreciate the comment, Josie! I agree with all of these! It's easy to fall into a lot of these "sins..What's really important is that we realize our own behavior and change it! Yes! Self-awareness is so incredibly important. If we don't like how something is, we should do what we can to alter. Thank you for taking the time to read, Brynnie. I'm so glad you enjoyed it! I personally love replying to people who have taken the time to interact with me. Hence, I think that each comment is worth of a reply. Glad my thought reflect those of other bloggers. Great post and completely agree that we should write original content and be more confident about standing out and not following trends etc. We should be less afraid of creating unique content. I agree whole-heartedly! I'm sure your readers will really appreciate that! If you get a lot, then I understand you can't do all of them, but at least you read them all, if that's as much as you can manage. I totally agree with all of these! I try as hard as I can to reply to comments as quickly as possible - it's just nice to respond and have a bit of a conversation. Sometimes it's difficult to not compare yourself to 'better' bloggers and that is something I feel insecure about at times, but I totally love what I post about, so that's really the only thing that matters! I tend to reply to the last post I published when I put a new one up. I really appreciate when bloggers take the time to reply. As you said, the conversation and relationship that develop are so worthwhile. If you love all your content, you're on the right track, Olivia! The friendships in the Blogosphere are incredible. They're supportive and uplifting! Thank you for reading and commenting, Nikoline! Great post! It really annoys me when I see people that never respond to any comments on their blog. If people have taken time to read your post I feel like you should respond.. I do understand if you get so many comments its impossible to respond to them all.. I wish more bloggers supported each other more! I'M SO WITH YOU! Sometimes it's tough to get round to all of them, but some would be great! Thanks for these tips. I'm glad we're on the same page! Great post! I feel the same!! 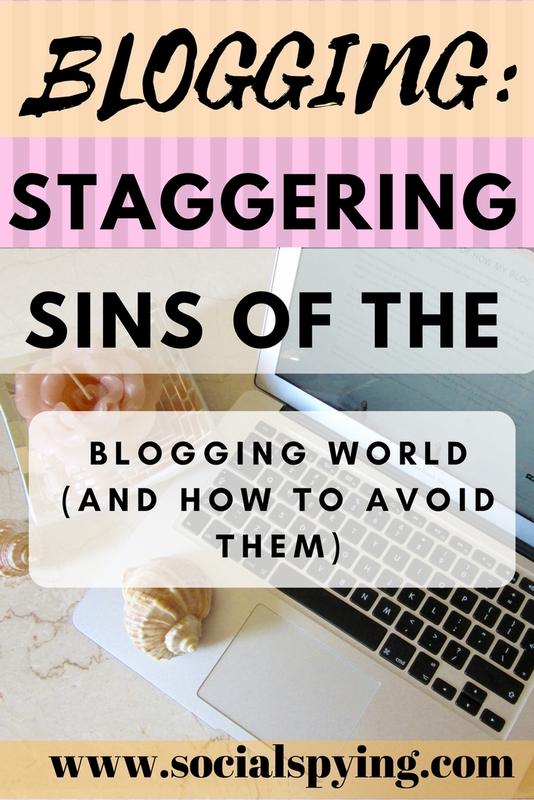 I really do understand all of these Blogging Sins - I think that I can really relate to comparing my blog to others. I don't exactly doubt my blog, but it can be a bit hard to not take a really good post idea. I never, ever directly copy posts/designs, but occasionally they are quite similar, which I am beginning to work on. A tip to not go tumbling down the rabbit hole is to once in a while, do a post all about a unique hobby that only you may have, to make sure that you are definitely not taking other blogger's ideas. Great post, I can really identify with all these things! Can't wait to see your reply, Steph! I think blog comparison is a MASSIVE one that we all do at some point. If you sense you need to improve your uniqueness, that's great! It's wonderful when you identify areas that you could improve on! You are totally right on those points. Well said. #1 is my biggest pet peeve. For me, If you aren't replying comments, I don't even bother replying and I most likely won't return to your blog. Same goes for posts on Instagram and twitter. The least you can do is acknowledge comments. I also get really annoyed with bloggers who don't respond to comments. I understand that sometimes there can be A LOT but try to at least acknowledge your audience once in a while. I really couldn't agree with you more! How exciting!!! I hope your blog soars like a bird in the sky! It's a good idea to learn from established bloggers. THAT WAY YOU LEARN FOR THEIR MISTAKE. However, it's a good idea to make your own along the way, too! This is such a great post! I think these are little rules that everyone needs to know about blogging. 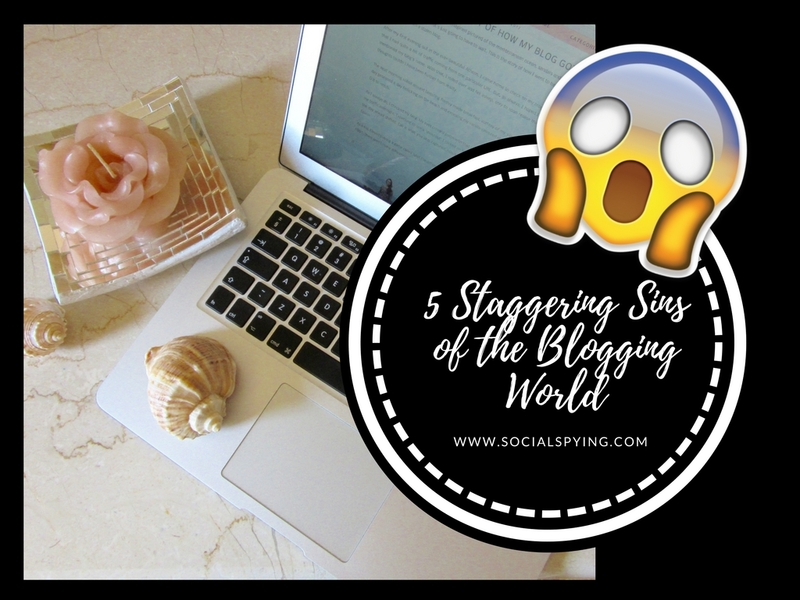 You can get farther by not doing these things in blogging! One can definitely get further. i like to think of it as 'blog etiquette'! I've definitely had issues with comparison, too. As they say, it's the thief of joy. Somehow, as I've progressed with my blog, I've actually started comparing myself less and less. Maybe that's just an aspect that takes time to overcome. Good post. I admit I am guilty of #3. It's something I have to work on. Aren't we all! At least we're working on it! That's all we can ask for! Great post Steph! I don't get many comments on my blog but I get so excited when I do but I always reply, it's so important of me! I get very excited when I see new comment. It's one of the best feelings! I also like to think that I've replied to every.single.comment on this blog. If you keep doing that Em, I have no doubt your readers will notice and appreciate it! Thank you for the comment, Em! Think it's so important to just be you in this world - you might gain followers by trying to be someone else, but you just can't keep it up long term. I think people are really good at picking up when something is genuine. I agree with every point! Especially not replying to blog comments, and not supporting fellow bloggers! I've also made some amazing friends through the blogosphere, it's a lot lovelier when you engage with others! When you engage in the blogosphere, a whole new, exciting and supportive world opens up! Thanks for taking the time to leave a comment, Cait! 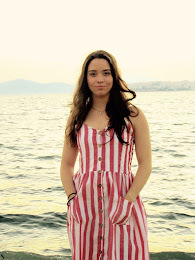 This is a great post for someone just starting out as a blogger, thank you Steph! I'm so glad a beginner blogger could find this useful! I figure that if someone has taken the time to write to me and share their thoughts with me I should reply, particularly if I have the time to. I love engaging with people in the comments though- definitely one of my favourite things to do! Comments are a great confidence booster! I get so excited every time I see a new one. I hope you continue to be motivated and never lose your passion for blogging! Thanks for the comment and I'm so glad you enjoyed the post! It's great that you've been practising what I think are good blogging habits right from the start! I'm sure you're doing a great job! Thank you for taking the time to read this post and leave a comment! These are such great points - I'm currently at a point where I'm constantly comparing and it's really dragging me down! I need to just focus on me. I think it's awful when people copy other peoples blog posts, I'm all for individuality and I think it's essential for success. I really enjoyed reading this blog post! It's so easy to get dragged down by comparison. At least you're aware of it. I hope things are a bit different for you now. Individuality is important for success! Ultimately, that's what counts. You're doing very well then! Keep going! As long as you're learning from yourself and others you're on the right path. Your following will grow as time goes on. It's just a process that takes some time. Yay! So happy to be sharing some inspiration!